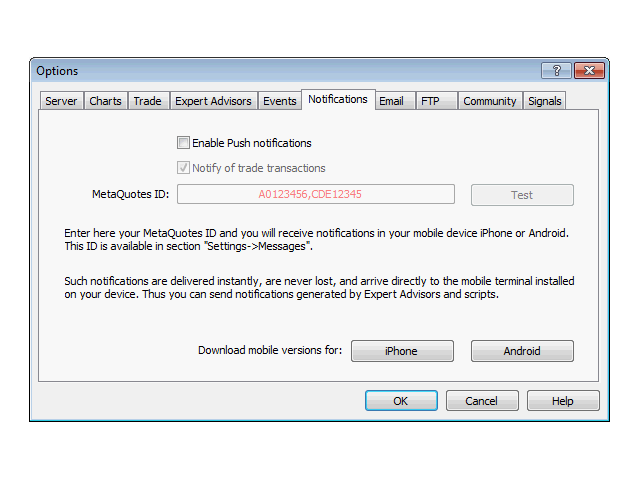 This is the MetaTrader 5 version, check out the MetaTrader 4 version at Verdure Community Balance Alert. 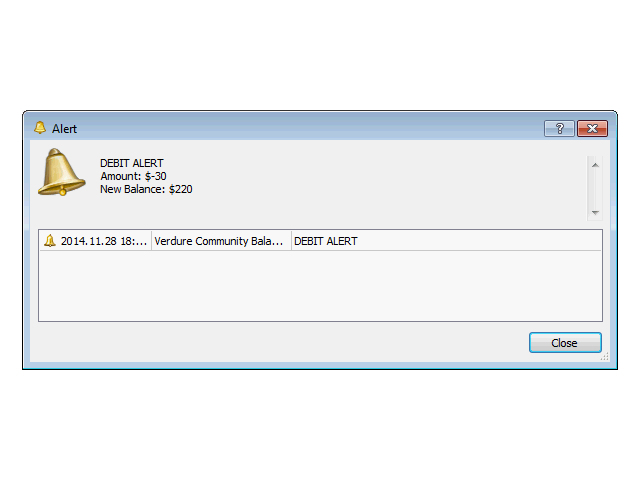 With Verdure Community Balance Alert, you will get notifications (alert, email or push notification on mobile terminal) of credit and debit transactions on your MQL5.community account. You get up to date account status on the move wherever you may be. It helps you to treat your MQL5.community account like your bank account. You can also set threshold alerts as you would on your bank account so that you can be notified when your community balance falls below or goes above a preset figure. This is all customizable using the input parameters. How about waking up in the morning to see credit alert notifications on your phone of credit transactions on your account? Verdure Community Balance Alert makes it happen, and it is particularly useful when you are out and about. Keep track of your MQL5 account balance from anywhere at any time without going to the MQL5 website. It is like checking your account balance without logging in to your bank's website. Get alert when your balance falls below or goes above a preset value. 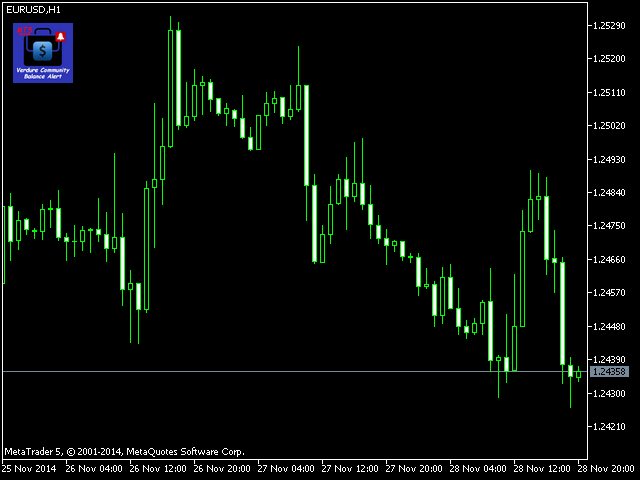 Get MQL5 account balance directly from your MT5 client terminal. alerttype - the type of alert you want to receive. It could be All, Credit or Debit. alert - display and sound alert. 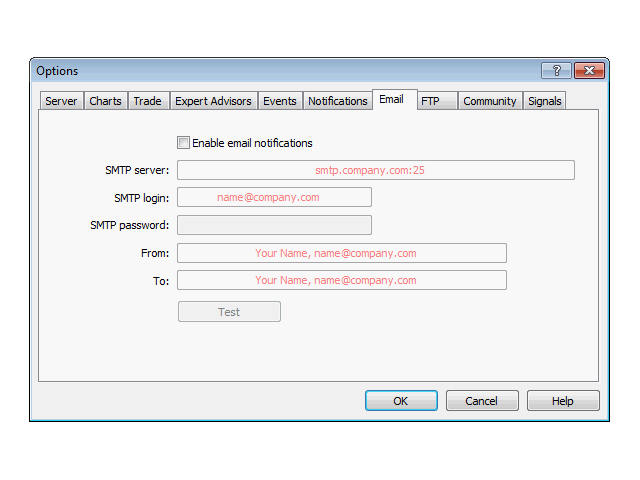 sendemail - send email to email address configured in MT5 client terminal. pushnotification - push notification to a mobile terminal configured in MT5 client terminal. printtolog - print account information to the expert log. abovethresholdalert - set True if you want to be alerted when your balance goes above a set figure, otherwise set False. abovethresholdvalue - threshold value to trigger the alert. belowthresholdalert - set True if you want to be alerted when your balance falls below a set figure, otherwise set False. belowthresholdvalue - threshold value to trigger the alert. 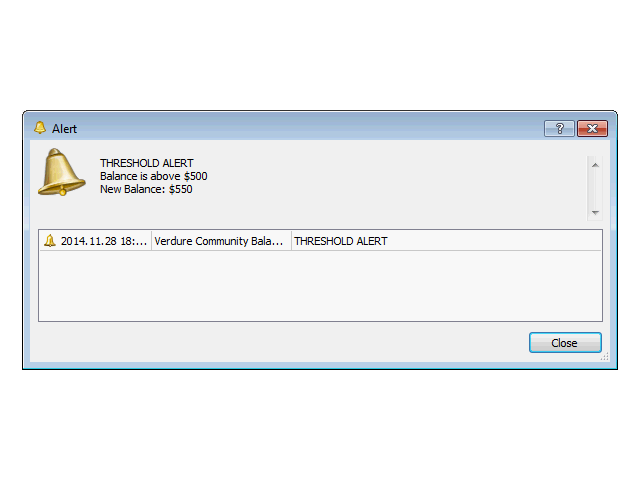 showcharticon - set True to show the Verdure Community Balance Alert icon on the chart which can be clicked to get instant alert of account balance. 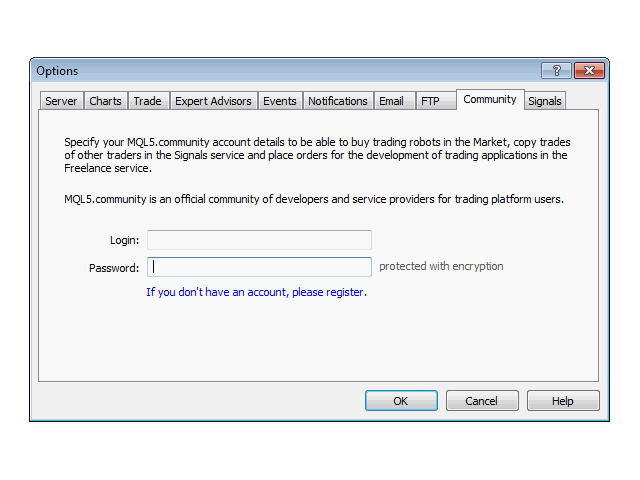 To receive alert, push notifications and emails, you would need to configure your MQL5 account information on the Community Tab on the Options Menu Item under the Tools Menu of your MT5 client terminal. You would also need to configure the Email Tab and Notifications Tab to receive emails and notifications respectively (see the screenshots). There could be delays in getting alerts due to MQL5 website updates.